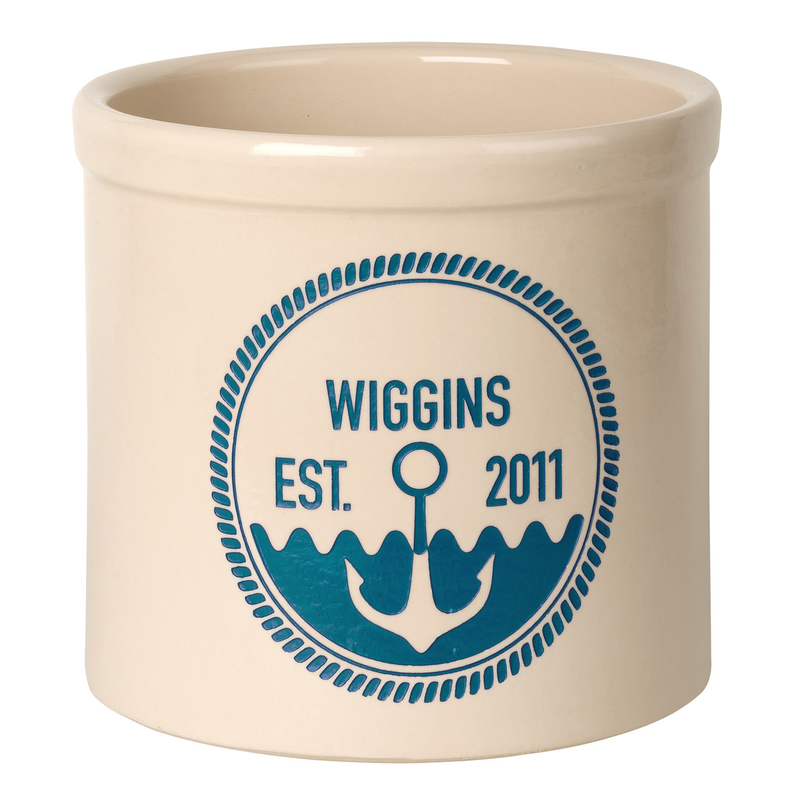 Accent your nautical kitchen with the Anchor Personalized Established Crock - Sea Blue. 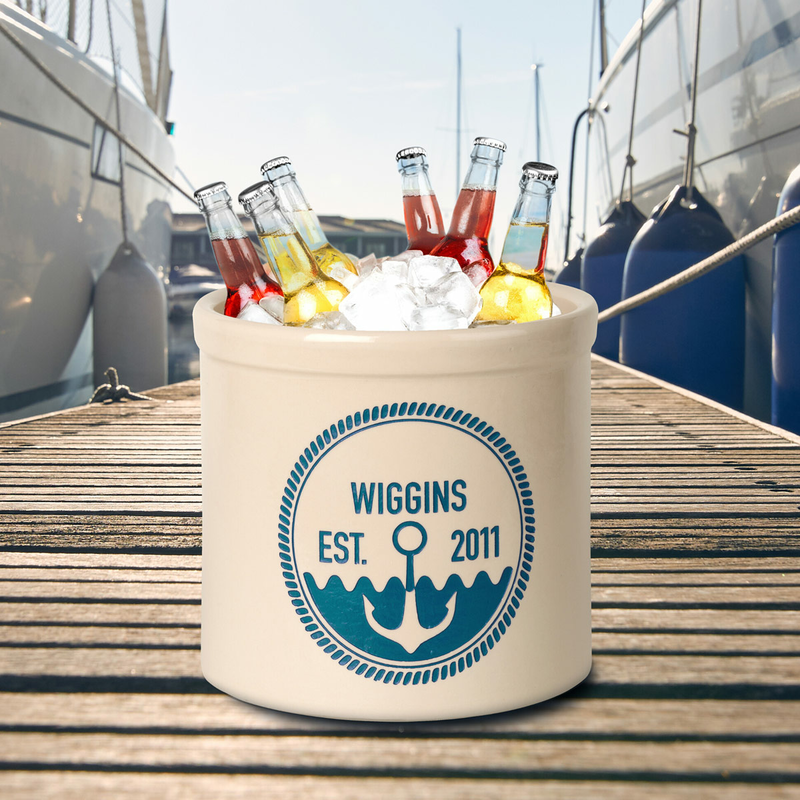 This crock features an anchor and personalized text. Can also be used as a planter for a beautiful addition to your home.